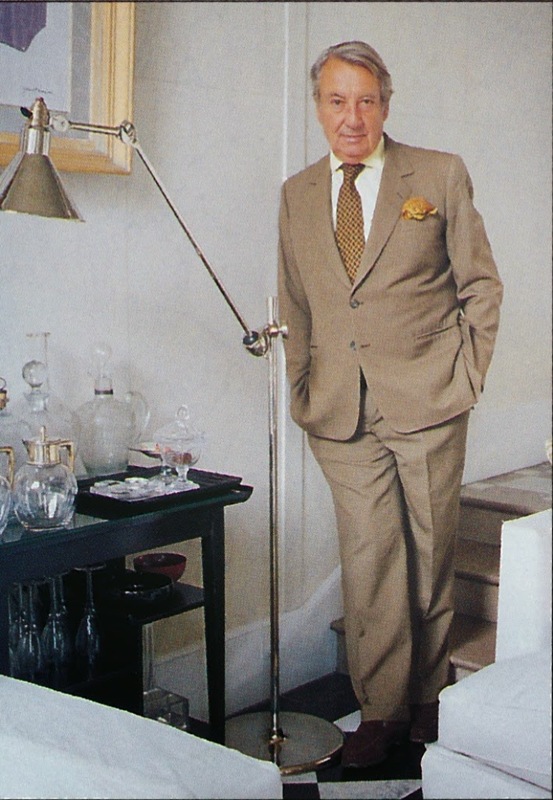 Although I haven't seen a great deal of the work of French interior designer Alain Demachy, I have seen enough to know that I admire both his style and his skill. 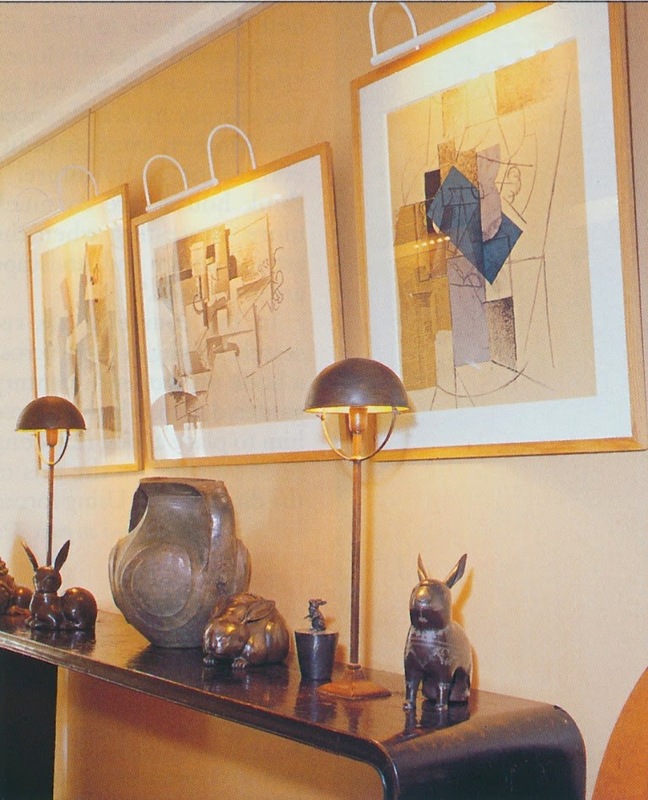 I was first introduced to Demachy's work thanks to my 1980s-era French design books. 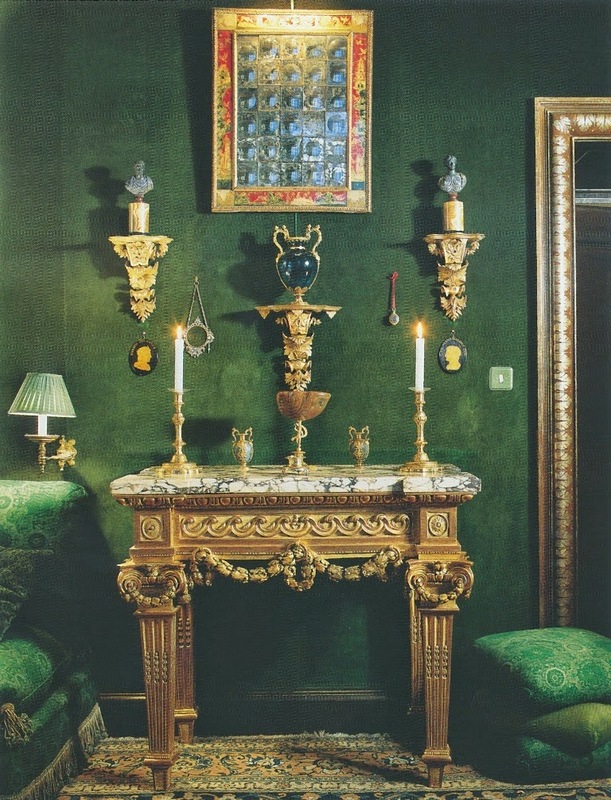 Many of those books featured photos of Demachy's decadent-looking green velvet dining room, which I consider to be one of the all-time great dining rooms. 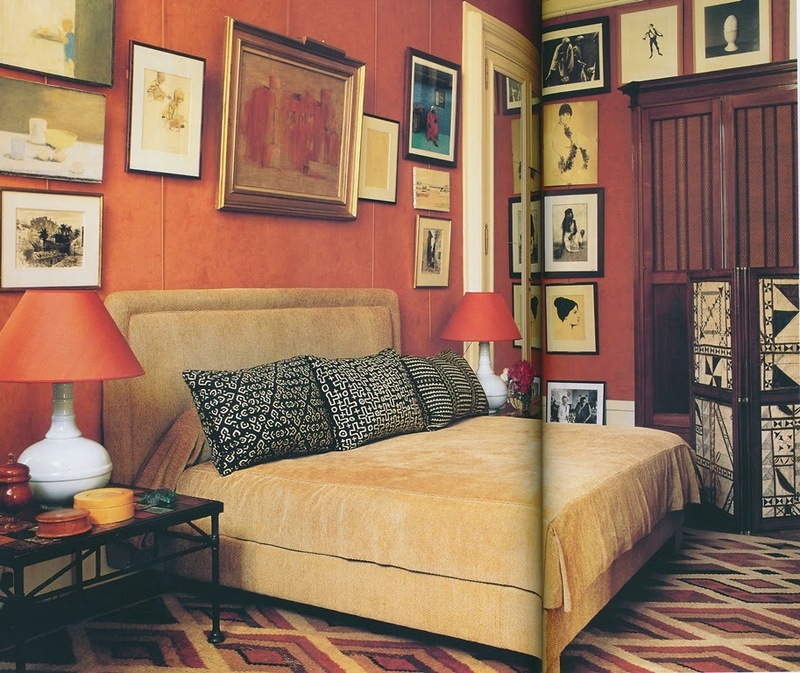 This room must have struck a chord with people, because that dining room appeared in many design books and publications. 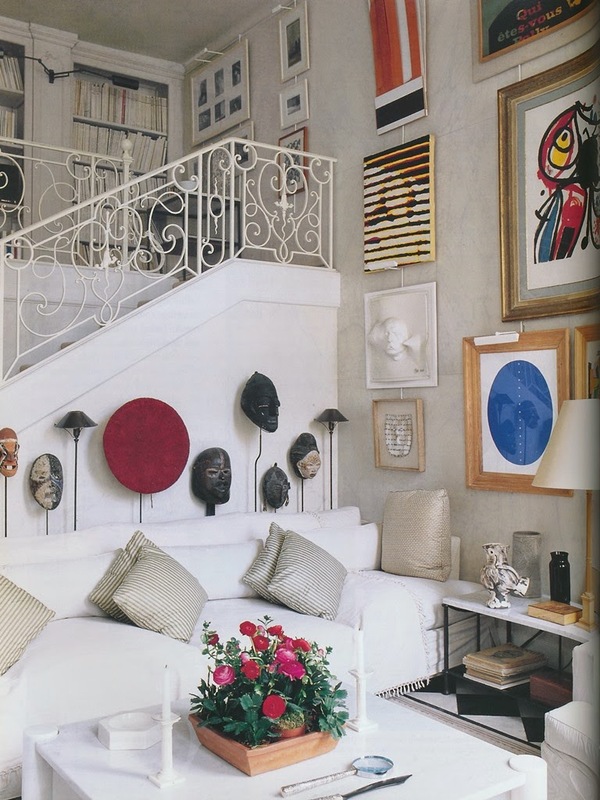 What I appreciate about Demachy is his ability to mix disparate-yet-like minded furnishings in a way that ultimately fosters stylish, harmonious rooms. 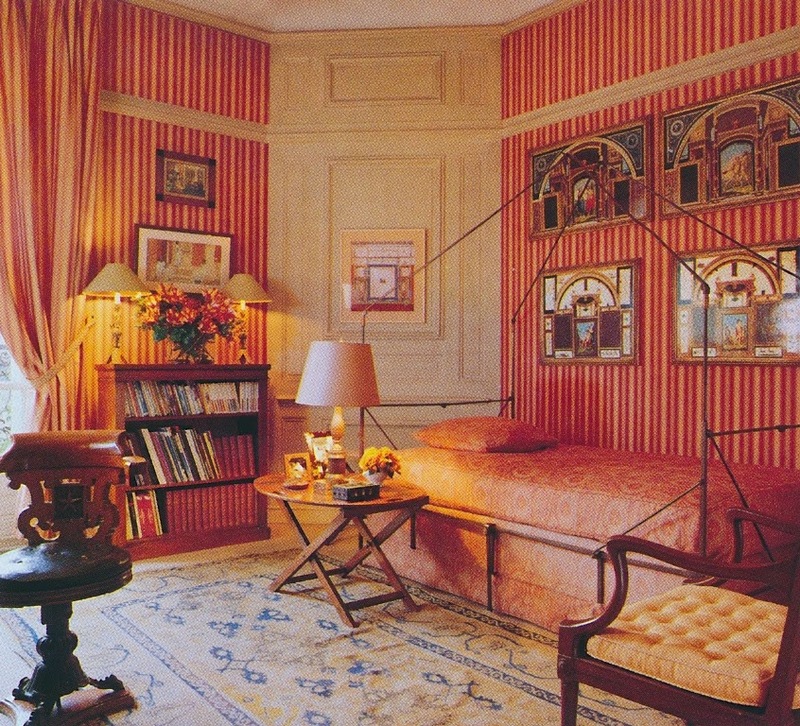 "Eclectic" is often the term used to describe rooms that are decorated with a lavish array of styles and periods, and yet, I don't think that term fits the sophistication and elegance that define Demachy's work. The designer obviously has an appreciation for early-20th-century design, most notably Arts and Crafts and the Art Deco style. 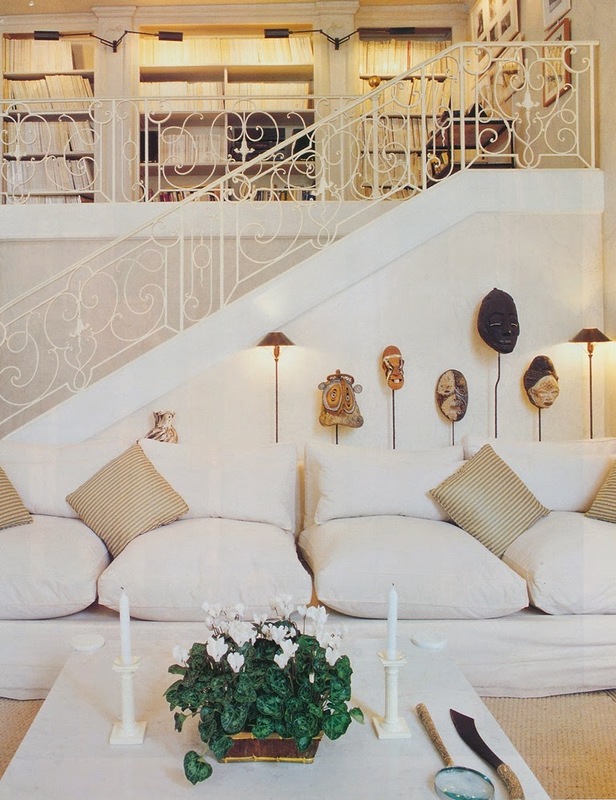 But then he might introduce African masks, Oceanic art, and 1950s-era furniture to the mix. 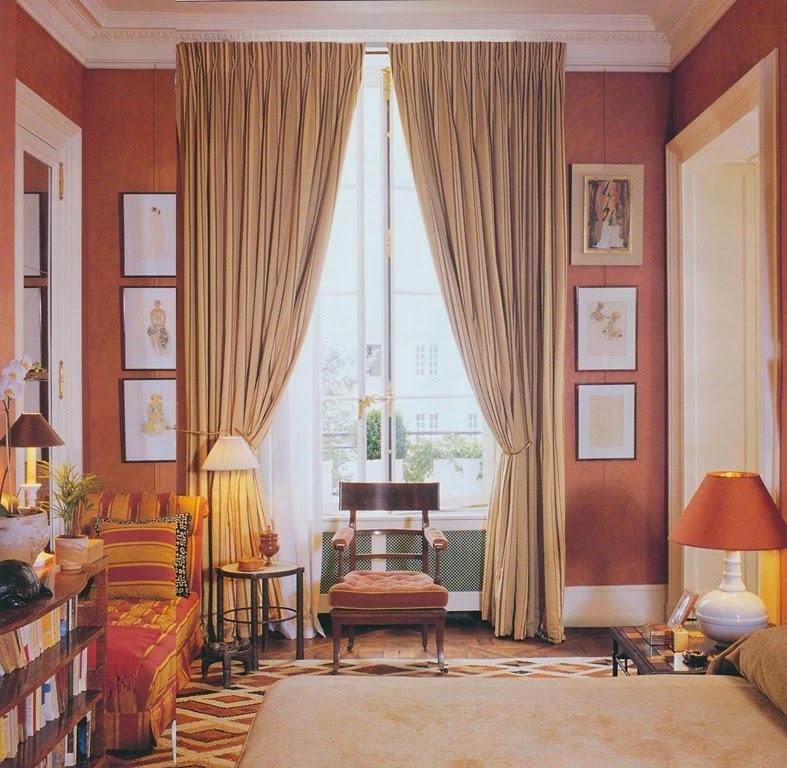 The result are interiors that reflect Demachy's skill as a designer and his connoisseurship. 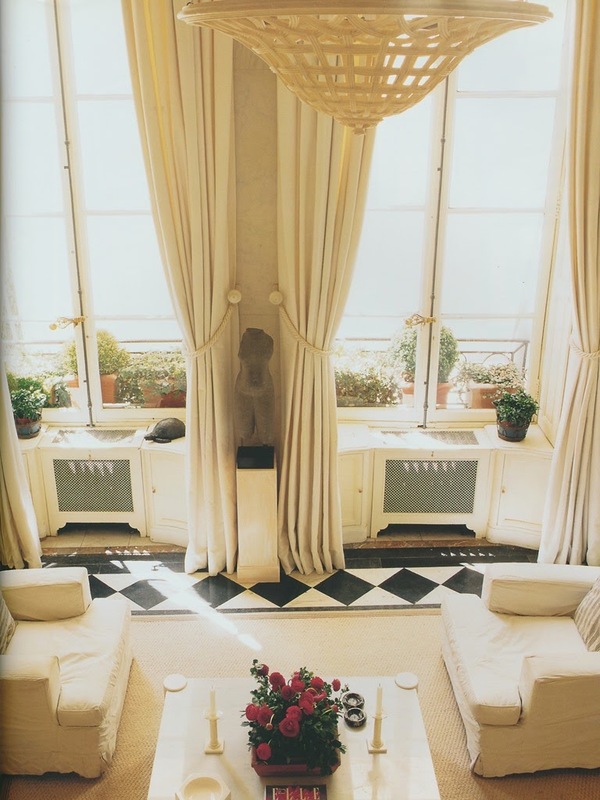 The photos below, which were taken from Elle Décor: The Grand Book of French Style and an Architectural Digest article, show Demachy's residence, which is located above his antiques gallery. I admit that I'm a little confused about the dining room. 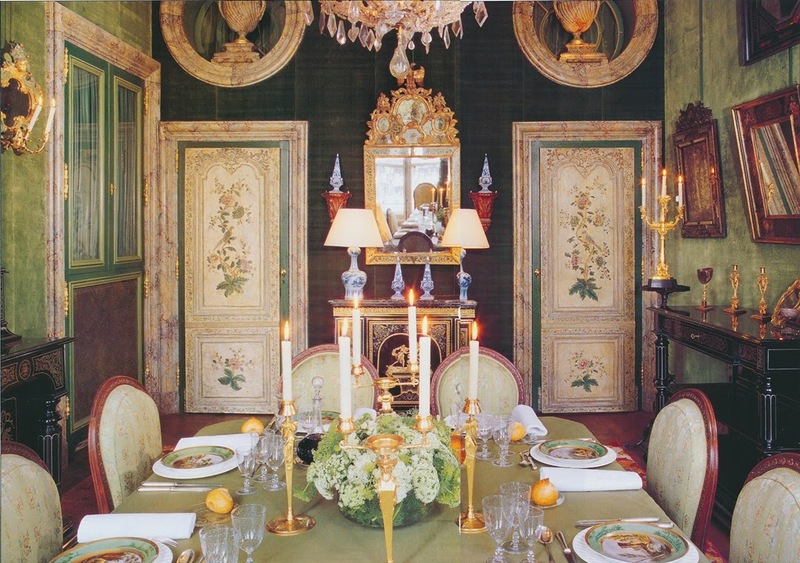 The AD article shows a green velvet dining room with painted doors, which, by the way, came from Pavillon Colombe, Edith Wharton's estate located outside of Paris. 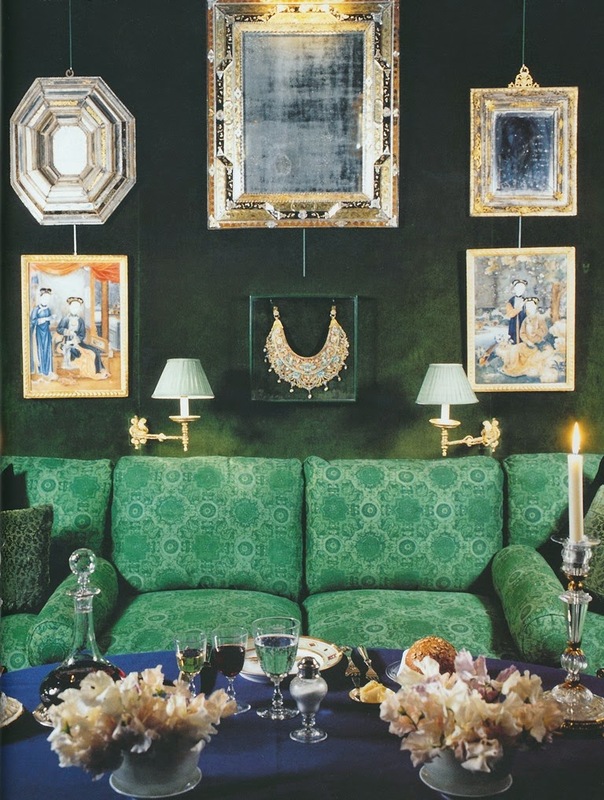 The Elle Décor book also shows a green velvet dining room, furbished with a banquette and Turkish ottomans, which looks slightly different- this is the version that appeared in all of those 80s-era publications. 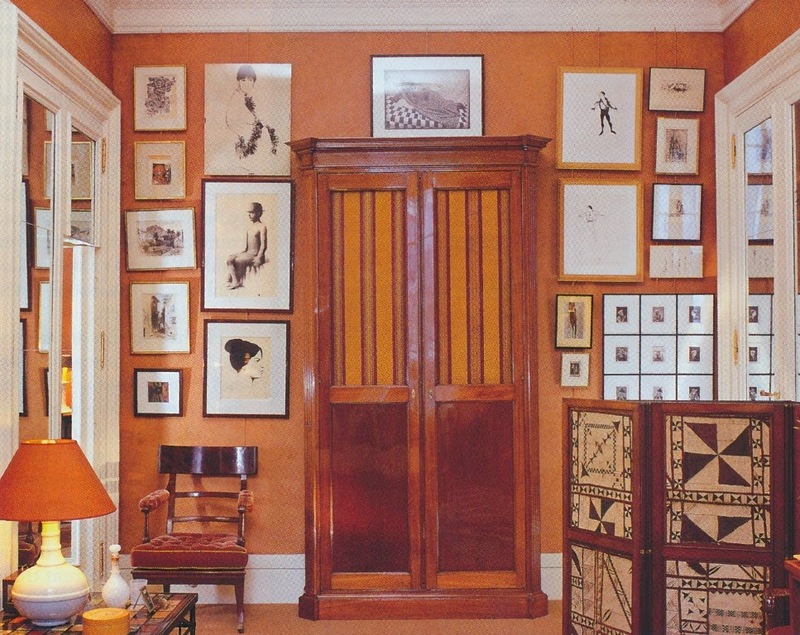 Is it the same design scheme that was simply photographed from different angles, or did Demachy tweak his dining room over the years? I guess it doesn't really matter, because both versions are successful thanks to Demachy's sumptuous use of green velvet. Jennifer I went to Demache's website and cannot get over the breathtaking beauty of his style. Oh yes and the music is a surprise, a very moving and elegant score. Glad to hear that you visited his website. Isn't his work impressive? 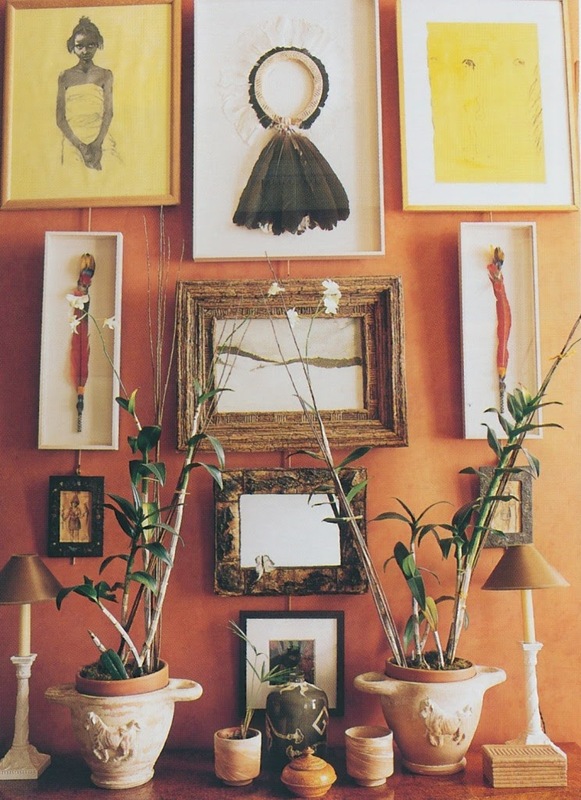 Wow - I love his use of color! And love the French's elegant covers for radiators - always fit with the interiors of that time, whereas here they were all honking and sticking out like sore thumbs! 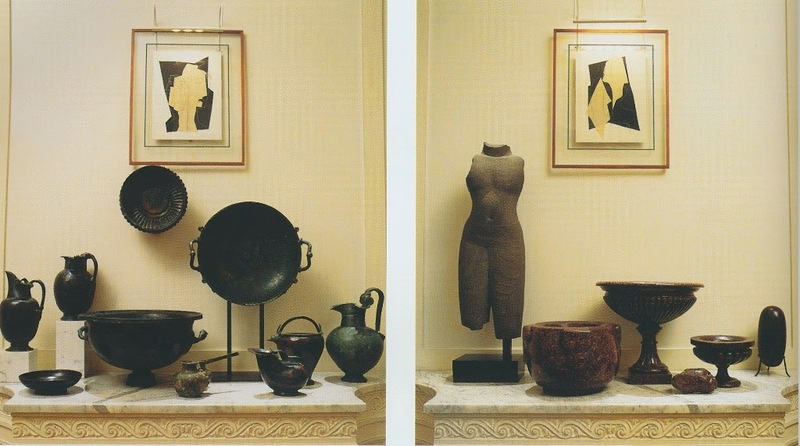 Demachy uses such rich, sophisticated colors. He has a wonderful sense of color.